Do you enjoy baking and decorating sugar cookies? 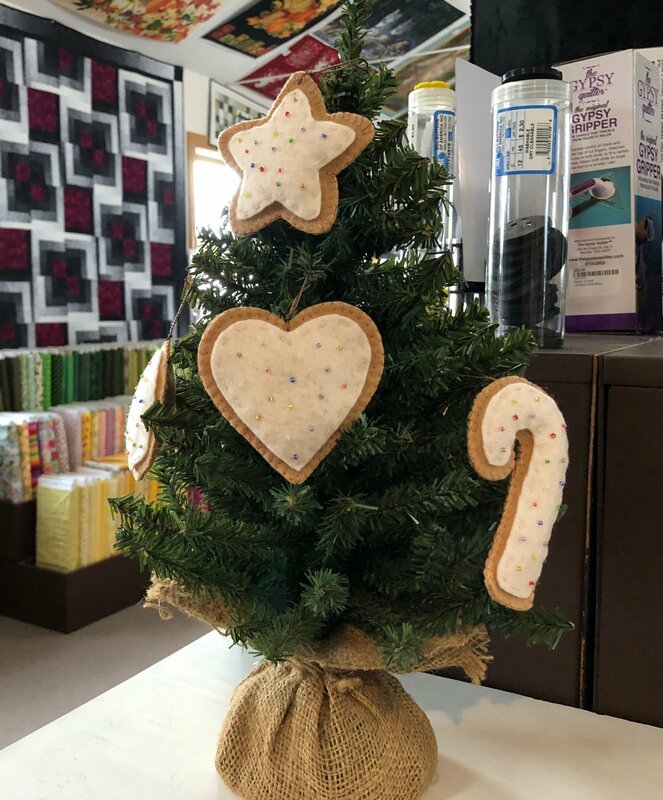 Please join us and have as much fun hand sewing and decorating this cute set of sugar cookie ornaments just in time for Christmas. Class fee is $10.00 per adult/child pair. All supplies are included in the fee to make one set of four cookies. These ornaments are so easy and fun to make. Can't you almost smell the aroma of sugar cookies fresh from the oven? All supplies are included in the fee to make one set of four cookies.